To Give Them the SKILLS to shine! Kimberly Godwin Clark has always had a passion for Thoroughbreds. 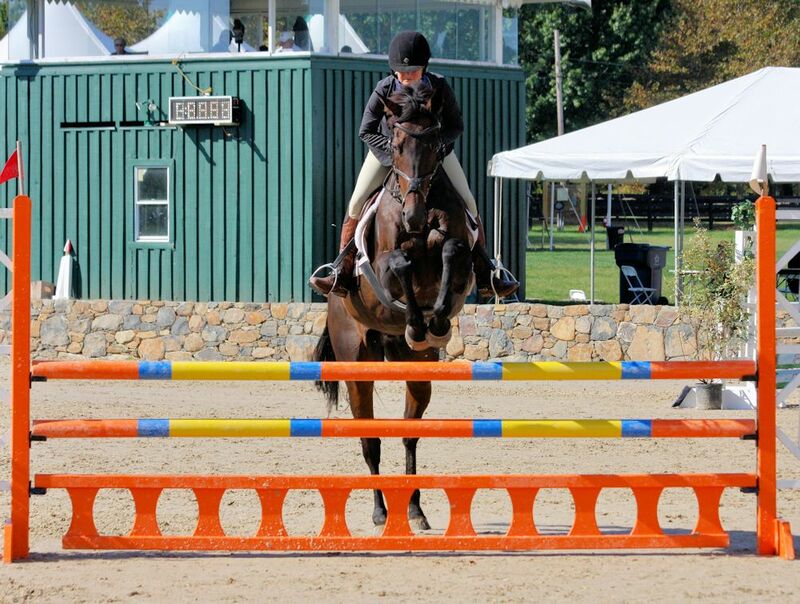 She earned her USDF Bronze Medal on a Thoroughbred she trained from green broke to Third Level. 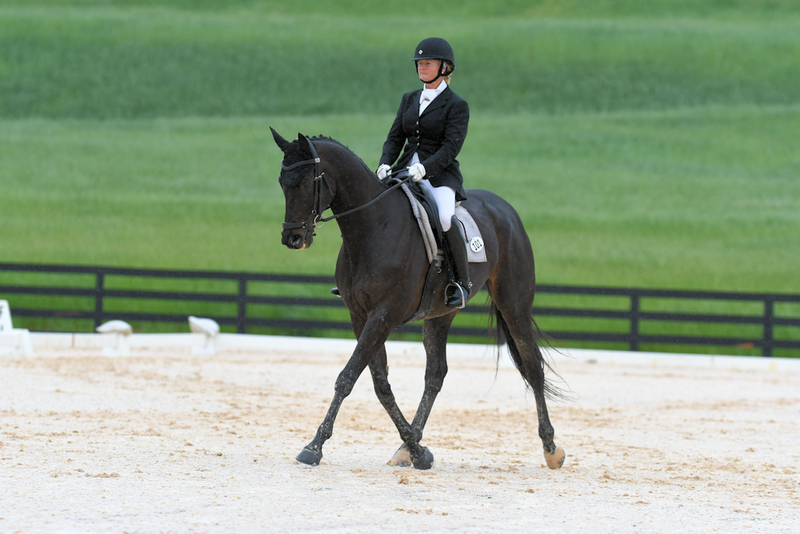 Clark currently competes Thoroughbreds at the National Level in both Dressage and Show Jumping. 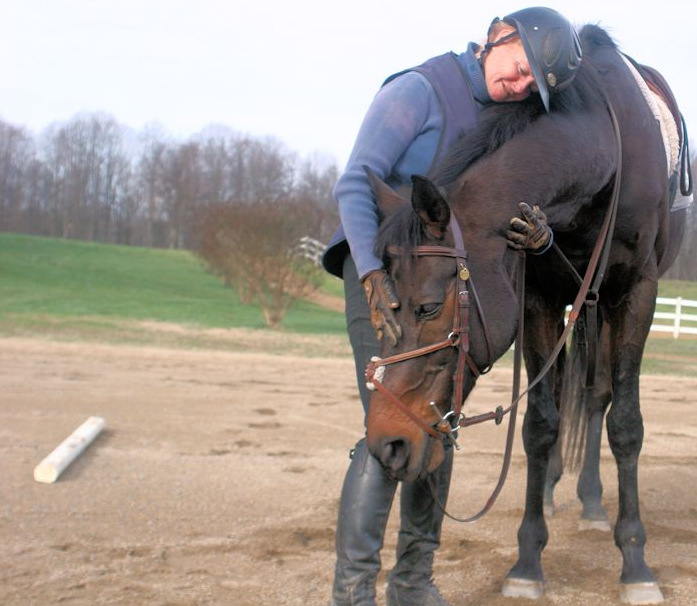 Her work with retired racers has produced successful horses like 4* Eventer Houdini (registered name, Rocky Times) and Breeder’s Bridge to High Performance Winner Constant Star among many other prospects that have gone on to successful careers in Eventing, Dressage, Hunters, Jumpers and Pleasure horses. Kimberly has also written and published the book “New Track, New Life” which describes in detail the life of the horse at the track and then how to successfully transition them to new disciplines. For 25 years Clark galloped, trained and owned Thoroughbred racehorses at Maryland Tracks. She learned to exercise racehorses under the tutelage of the great steeplechase rider John Bosley and then went on to the track with Ann Merryman a second generation horseman. 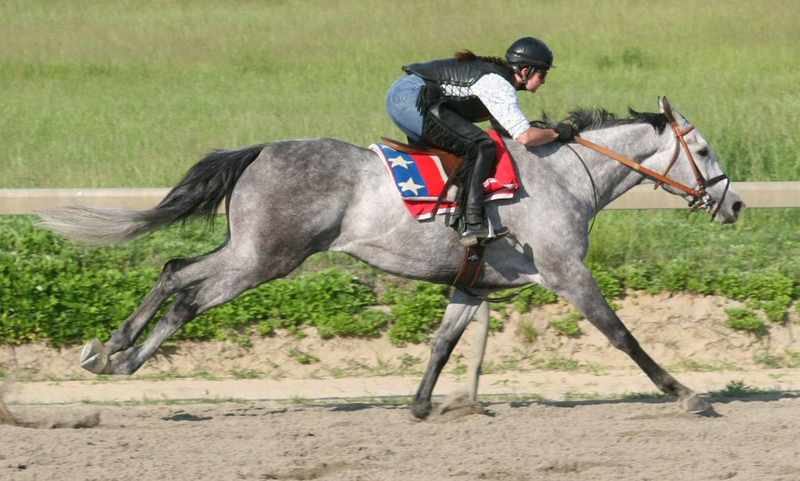 She began riding at Old Hilltop, Pimlico Racecourse in Baltimore, Maryland, and later rode in Florida for several winters before settling at Leighton Farm to begin her new venture in retraining retiring racehorses for new careers in 2007. To achieve success in this new venture, she enlisted the guidance of Jim Wofford in 2008. She then added David Loman at Jim’s suggestion in 2010. Clark continues to work regularly with Linda Zang, Stephen Bradley, and Joe Fargis. Her training program is based on knowledge she has gained from a lifetime of working with Thoroughbreds racehorses and now the incredible guidance she receives from each horse that comes through the Leighton Farm program. Kimberly and Leighton Farm have a special commitment to Thoroughbreds, exhibiting a benevolent passion for them by creating the charity organization, Thoroughbred Placement Resources, Inc. In order to aid these retired racers the 501(c)(3) charity, Thoroughbred Placement Resources, Inc. was created and has grown to transition an average of 35 Thoroughbreds per year at Leighton Farm under Godwin Clark’s direction. Since 2008, TPR has found homes for over 1000 retired Thoroughbred racehorses.